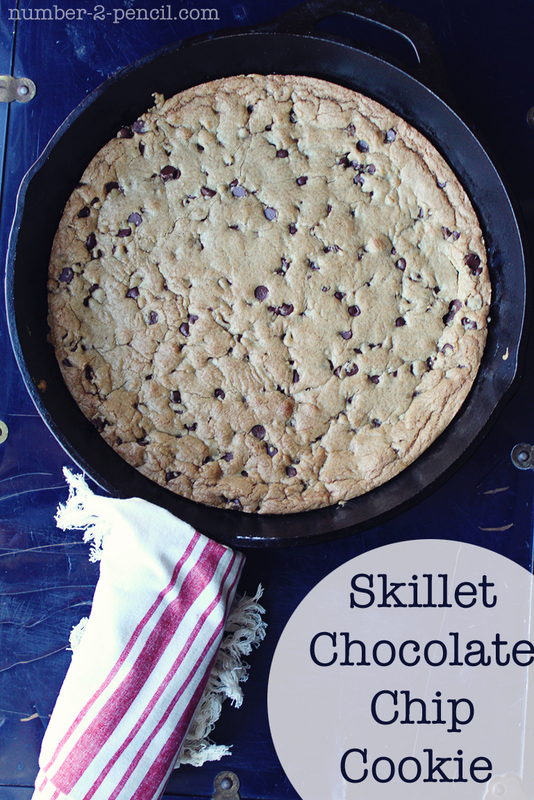 Today, I’m sharing one of my favorite recipes, a Skillet Chocolate Chip Cookie. 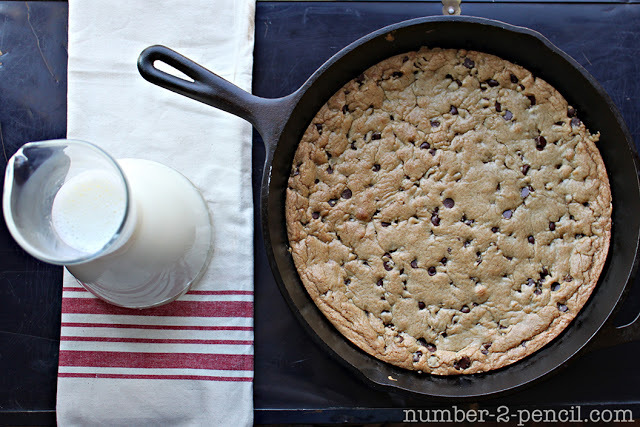 This giant chocolate chip cookie, baked in a cast iron skillet, is sure to make your family grab a fork and dig right in. After all, who can resist a warm buttery cookie with rich, melty chocolate chips? Here is the step-by-step and the recipe. 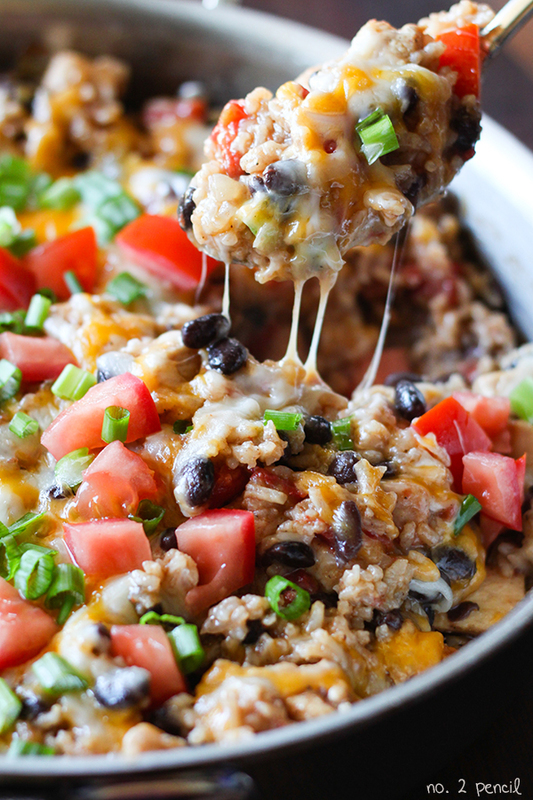 This is super easy to make, and it bakes up so quickly! You can have this giant chocolate chip cookie fresh and warm in around 30 minutes. Dangerous, right? Combine melted butter, dark brown sugar, granulated white sugar, salt and vanilla extract in the bowl of a stand mixer. Mix until combined. Then add one whole egg, plus one egg yolk, and mix again until smooth. 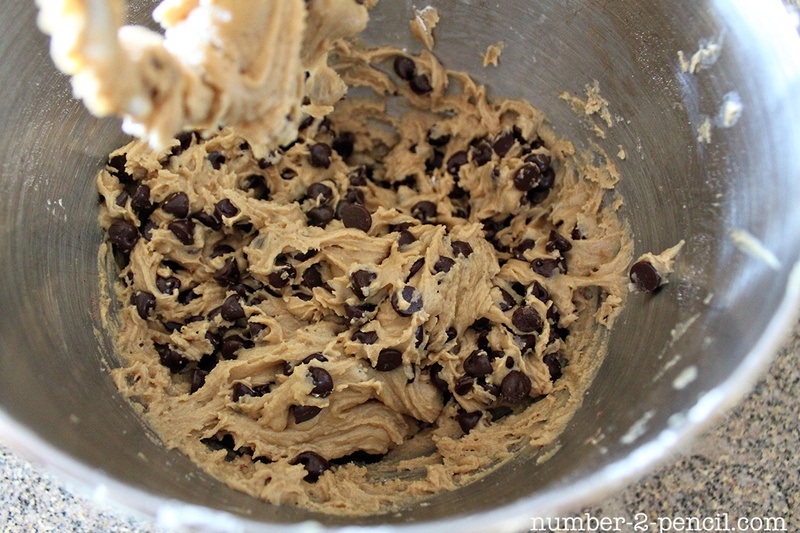 In a separate bowl, whisk together baking soda and flour, then add to cookie dough mixture. 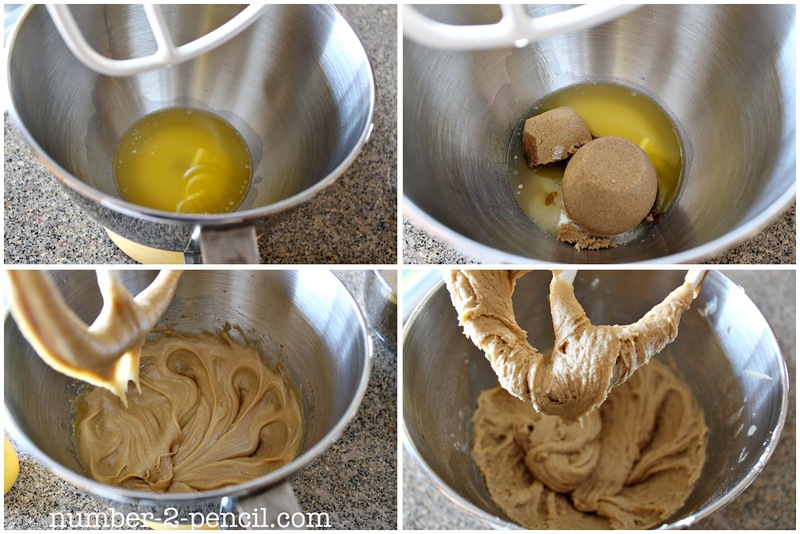 Let mixer mix on low speed, just until flour is combined. 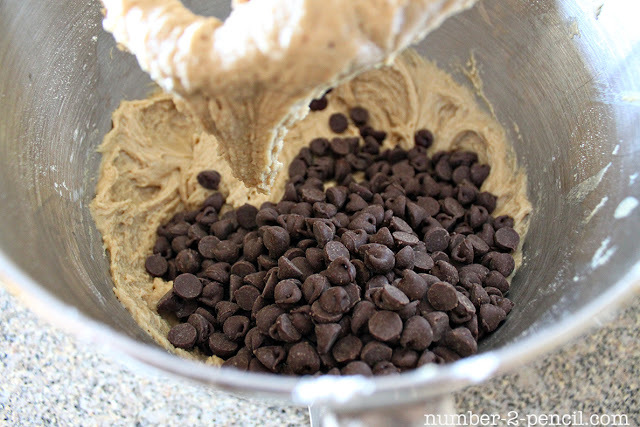 Add two cups of semi-sweet chocolate chips and give a final stir with the mixer. Spread cookie dough in a 12 inch oven safe skillet and bake for 18-20 minutes. This recipe was originally posted on TidyMom as a guest post on August 1st, 2012. I love skillet cookies! So good! So fun. My kids would love that!!! 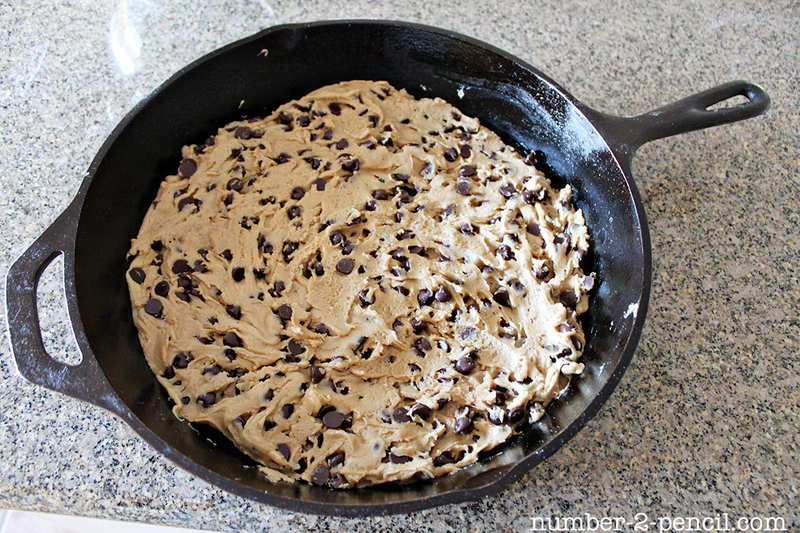 I so need to get a skillet & do this! YUM! 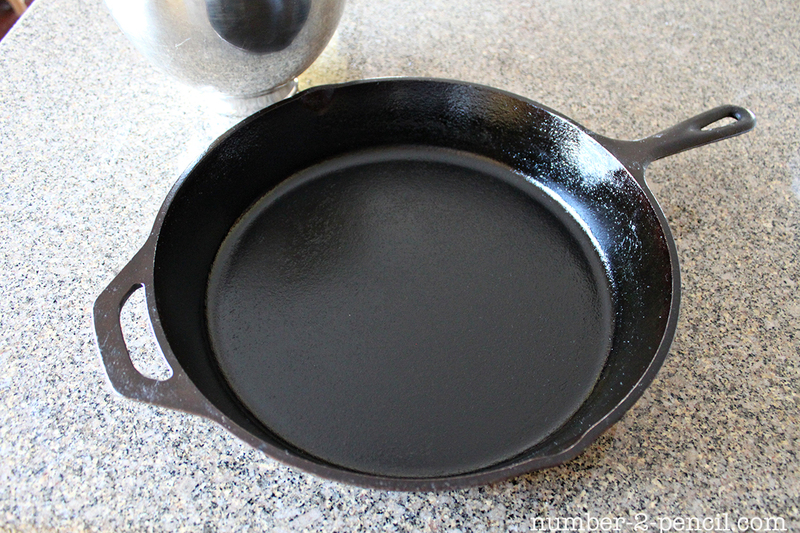 Do you need to butter the skillet or anything? 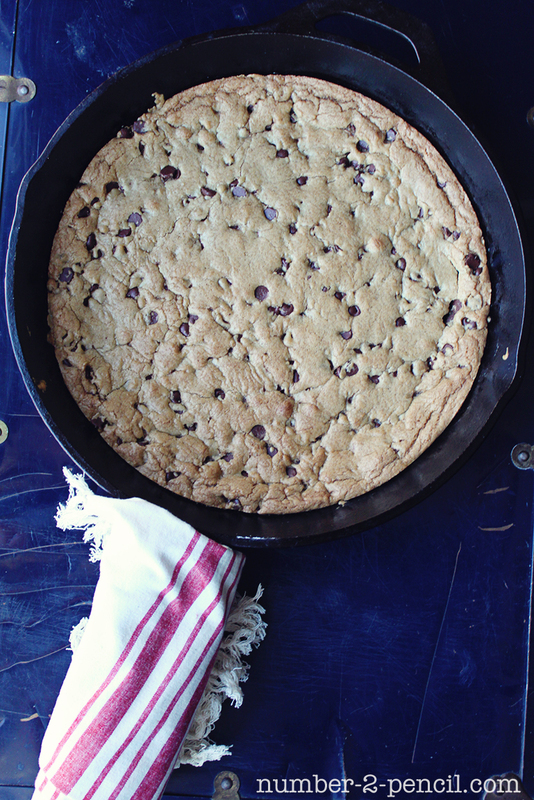 Is it hard get the cookie off the pan? The skillet pictured is a cast iron skillet, so it is non stick.